In a claimed CNC machining first, Okuma has incorporated what is generally referred to as ‘machine learning’ into its latest CNC unit, unveiled at Japan’s JIMTOF show late last year. In addition, the new OSP-P300A boasts a smartphone-style interface and smart apps. The Japanese machine tool builder, who is represented in the UK by NCMT, says it is “the first manufacturer to introduce deep-learning-infused artificial intelligence [OSP-AI] into CNC machining”, while its new control also comes with “OSP suite apps developed to promote smart manufacturing” and features a smartphone-style interface that makes the new unit “instantly familiar and intuitive”. Of the machine learning element, the company says: “The OSP-AI is integrated in the control’s CPU, thus eliminating the need for a cloud or a server. In order to take unmanned production to the next level, Okuma has equipped the OSP-P300A with the means to run highly-dependable diagnostics by itself, eliminating the need for diagnostic measuring devices or advanced knowledge of machine maintenance. Machine learning is a hot topic in manufacturing. According to Martyn Williams, managing director of industrial software expert COPA-DATA UK, machine learning is one area of technology that has been subject to rapid development in the last year. It describes computer science techniques that allow a machine to independently learn a task, rather than being programmed to complete that task. He says that potential uses include optical part sorting, automated quality control, failure detection and improved productivity and efficiency, and cites a recent National Institute of Standards (NIST) smart manufacturing study that indicates that machine learning “can improve production capacity by up to 20% and lower material consumption rates by 4%”. 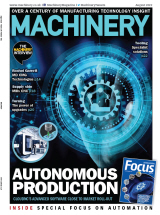 Machine learning algorithms have the potential to bring greater predictive accuracy to every phase of production, he says, adding that there are many manufacturing systems that can - and do - use machine learning to improve operations. Returning to the Okuma OSP-P300A, on the apps front, it is equipped with OSP suite apps that have been developed to promote smart manufacturing. Support apps such as a bar code reader, as well as an alarm mailer, make machining management convenient for operators. 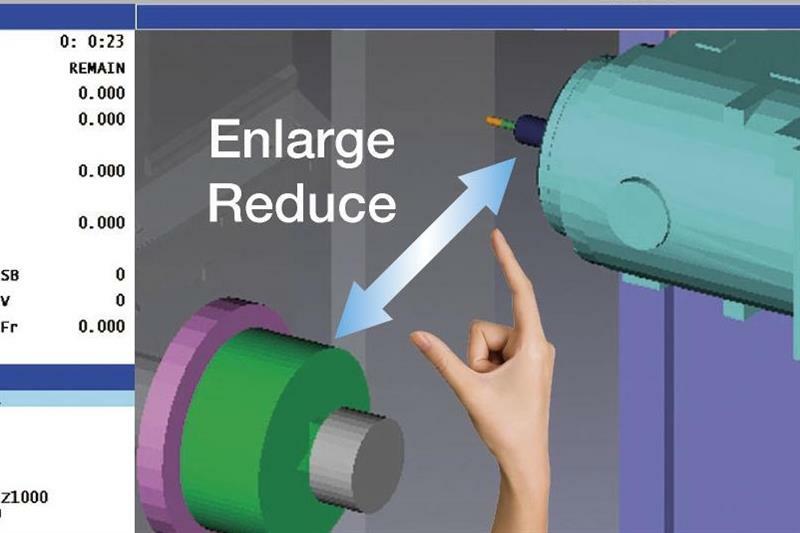 In addition, machining preparation apps accurately calculate the cutting conditions, chuck force and more. The Okuma App Store has been operating for some time, in fact. And, finally, the user interface, “influenced by everyday life”, offers a “multi-touch panel with its two-finger screen operations and smooth gloves-on fingertip control [that] is inspired by modern smartphone technology, making it feel instantly familiar and intuitive”. The control is available on all models except for Genos L and Genos M series (under consideration) and some grinding machine models, with all relevant machines produced from November 2016 fitted with the new control.